Find out what a level crossing accident claim is; the different types of level crossings and the safety precautions for each; the most common types of accidents giving rise to claims for members of the public and rail workers and how to find out if you can claim compensation. 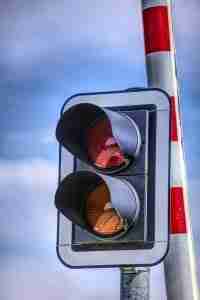 What is a level crossing accident claim? There are many different types of level crossing – how each operates and the protection for users will depend on whether the level crossing is public or private; is intended for vehicles, pedestrians, cyclists or horses; how busy the crossing is and the type of trains on the rail line (passenger trains, freight trains, high speed trains). Overhead electric lines will often be positioned above the crossings – to ensure the train has power and there is no danger of electrocution from a live rail track. When an injury occurs on the level crossing as a result of negligence or legal fault – you might be entitled to a level crossing accident claim for compensation. The compensation would be calculated based on a sum for your pain and suffering (general damages) and financial loss and expense (special damages). 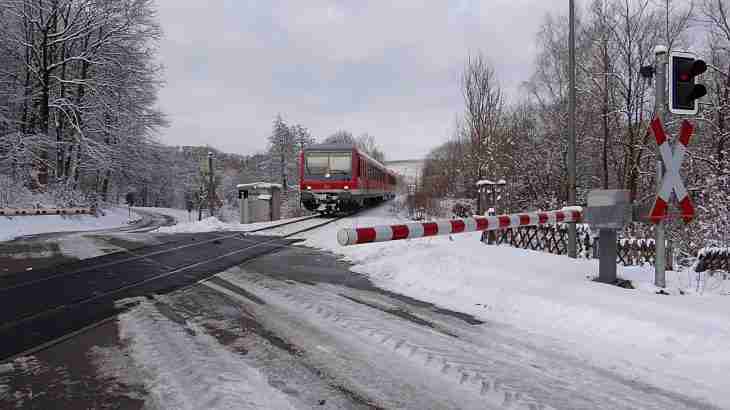 What are the different types of level crossing and what protection controls do they have? Level crossings where a public road crosses the rail line will typically be a protected crossing. The majority of protected crossings are controlled with traffic light signals (twin flashing red stop lights) and an alarm for pedestrians. 1. A level crossing without lights, but with a closing barrier or gate. These types of crossing have a stop sign and a red and green light. Only when the light is green should you open the gate or barrier manually. The telephone should always be used to speak to the railway signal operator to ensure it is safe to cross. Once over the signal operator should be contacted by the phone on the other side to indicate you have crossed safely. These will only have a give way sign (no lights, barriers, gates or telephones). Here you must first listen and look to see no train is approaching and then cross quickly. What are common types of level crossing accident claim? There are primarily three types of level crossing accident claims. These types of accidents may stem from defects with the crossing surface, barrier defects, signal failure, overhead electric line problems. This type of level crossing accident claim would typically be made against Network Rail. You might be a passenger in a car when the driver tries to take a short cut around the barriers or ignores the safety warnings, a wagon driver might disrupt the overhead electric cables. These types of level crossing accident claim would typically be made against the other crossing user. There exists very stringent safety procedures when work on the rail network – employers are responsible to ensure that these procedures are adhered to and failure to do so can lead to serious injury or death. If you suffer injury on the rail network as a result of your employer’s negligence or breach of statutory duty – you would have a compensation claim against your employer. Free solicitor assessment of your level crossing accident claim? To have your potential claim assessed online or to discuss how to make a level crossing accident claim click specialist rail accident solicitor legal help.